One of my biggest hopes for this site is to get people excited about whole grains. They are such a huge part of my diet both in whole and flour form (I even wrote a cookbook about them). As such, I always get excited when I find kindred spirits, like my friend Alanna. She just published a beautiful book all about alternative, gluten free grains and flours in desserts. This oven pancake is directly from her book with a slight modification for the season. Best of all, every recipe is so irresistible that I forget everything is gluten free. Sorghum (and sorghum flour) is one of my favorite grains to work with. It’s not overpowering in flavor, pairs well with many other flavors, and the flour is easier to work with then some of the other gluten-free flours. In honor of the launch of her book (and our general grain geekery), we’re doing a giveaway of a set of 6 grains/flours along with copies of both our books. Pop over to The Bojon Gourmet to see the breakfast tacos made with amaranth tortillas (pictured below) and scroll down for more giveaway details! Read more and see the recipe. 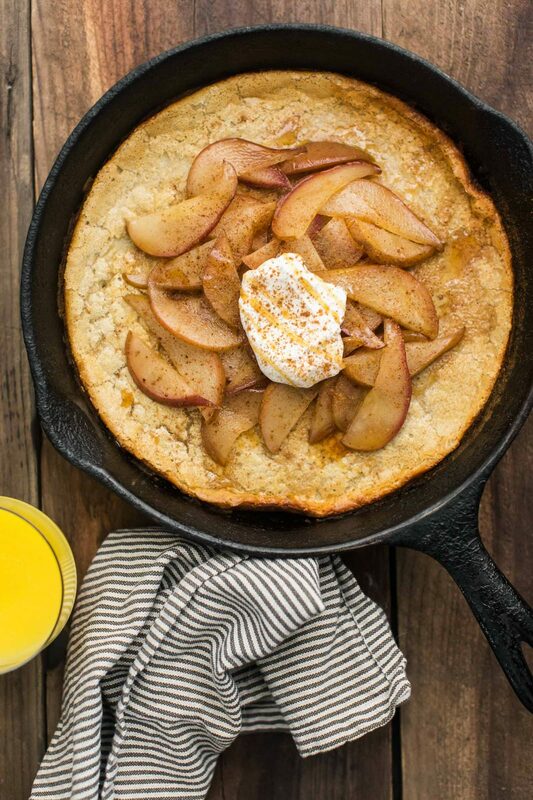 The post Sorghum Oven Pancake with Pear appeared first on Naturally Ella.